Affixed sail track beading OUTSIDE the hem ADDS dimension to your finished order size. 5/16 inch The manufacturing final size is PLUS 1/2 inch from ALL (4) banner edges. Bead Color Choose White or Black. 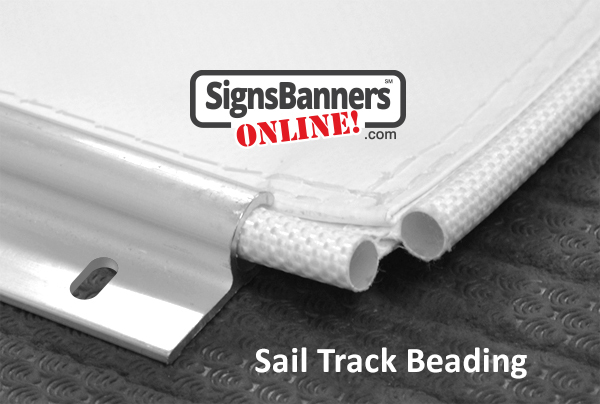 Awning track -Keder welt or beading is a popular new technnique for installing large building signage replacing heavy metal panels or composites. The aluminium moulded awning OR sail track allows the beaded welt to glide into the rail channel whilst preventing the downwards escape of the banner sign due to the slot being tighter than the bead. 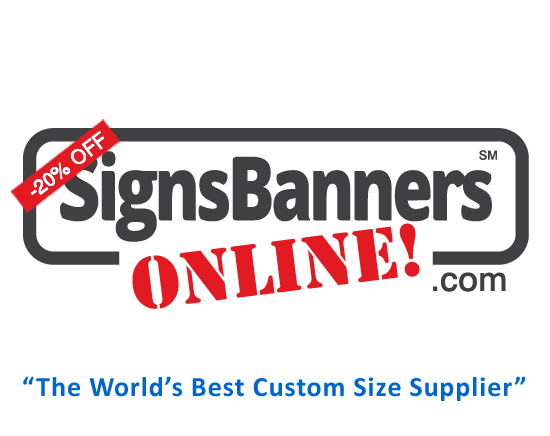 Keder or Sail track glide as it's common term is specialty Signs Banners Online offer for edging a banner sign. 'The banner looks like a billboard'. 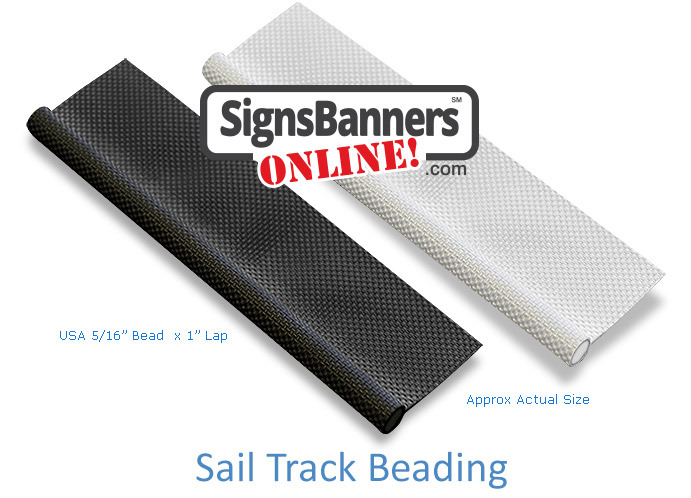 INFO Sail track beading is also known as: Awning rope, awning track, Keder, glide edge and sail beading. Beading is fitted to the outer sides of the banner, then used to slide into moulded frames. #1 Which beading do you use? 5/16 inch OD Single flap double stitched. SBO use a single woven flap with double stitching for attaching to the hemmed vinyl banner. #2 How much bigger or smaller do I make my artwork? Make your artwork UNDERSTANDING that 1/2 inch will be added to the manufacturing finish size each side. Remember, hems can have graphic printing that is folded over AND the beading extends past the printed banner. #3 Can I purchase aluminium tracking? No. Go to a local hardware or trade aluminium center. #4 What size is the awning track I need? 3/8 inch ID Moulded CIRCULAR track. How is the banner for awning track manufactured? We hem the banner then sew the inner edge of the Sail Track Beading to the banner TWICE (Double Stitched). ALL FOUR SIDES are supplied with Sail Track Beading .